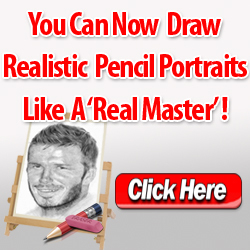 After doing so many drawings with straight lines, you can probably do them now with ease and confidence. They'll become still easier as you continue with future projects. But if you're to draw objects based on the cylinder, the cone, or the sphere, you must also practice drawing the curved lines that form them. Hold your pencil (still the ordinary "office" kind) in the position you prefer: the usual writing one, or under your palm. Swing your arm from your elbow, and even from the shoulder, if you work big. It may feel awkward at first, but persevere until you feel comfortable. If you hamper your rendering now by working from the wrist—because it "feels more natural"—the beautiful sweep of a fluid line will never be yours. 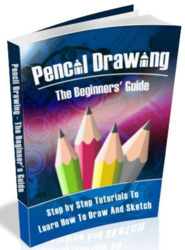 The only consideration in this second section of the book is to convey the principles of good drawing. Later you'll explore the line and its expressive power. Here, the purpose of your lines is to establish the optical correctness or "reality" of everything you draw. No matter what the cylindrical object, you must first see the cylinder itself, underlying whatever detail the object may have. In the beginning stages of your drawings it's a good idea to draw the geometric cylinder first, and then make the required modifications, as the artist did in the demonstrations with the pots (page 29). Later you can dispense with the drawing of the geometric cylinder and begin immediately with the cylindrical object itself. Rudy De Reyna's approach to drawing a cylinder is to rough in the entire ellipse (the circle that forms a cylinder's top and bottom) in a counter-clockwise direction. Then he refines the ellipse's visible side by accentuating the correct curvature with heavier strokes. You may find it easier to rotate your pencil in a clockwise manner. Practice both and stay with your preference; the better result is what counts, not the way you achieve it. Be sure that you check the angle of departure—any indents and bulges—of the object's sides from the vertical of the geometric cylinder. When drawing the cylinder remember that at eye level its ellipse appears to be a straight line. As the ellipse rises above eye level, or the horizon, its edge nearest you curves up in an arc. As the ellipse descends below eye level, the arc is reversed and the edge nearest you curves down. Get a glass from your cabinet and draw it as many times as necessary to get the ellipses correct (see pages 27 and 28 for reference). Before you draw the glass, raise it to eye level, so that its top makes a perfectly straight line; notice that the bottom of the glass, being below eye level, forms an ellipse. Now lower your arm gradually and notice that the top of the glass becomes an ellipse that gets wider and wider as you lower the glass more and more. Finally, when the top of the glass is directly below you, the ellipse becomes the full circle that it actually is. It doesn't matter if the glass you draw doesn't resemble the one used here. The purpose of this exercise is simply to train your eye and hand to observe and render whatever modifications and departures there may be from the rigid cylinder that underlies the shape of the object you're drawing. The correct placement of a handle on a cup, the height of a stem on a glass and the different depths of the upper and lower ellipses of a glass are factors that must be considered when observing and drawing these cylindrical objects. Remember that as an ellipse nears the eye level, or horizon, it gets shallower, and that as the ellipse gets farther away, it gets deeper. To insure a fluid and rhythmic line, be sure to swing your curves from your elbow, not from your wrist. Always be aware of eye level; the true appearance of objects depends upon it. Notice that the top ellipses of the glasses are shallower than their corresponding bottom ones, because the top ellipses are closer to the eye level and the bottom ones are farther from it. Take any opened botlle you may have. Hold it straight down at arm's length, and note that the lip of the bottle is a perfect circle, as in view 1. But the ellipse gets more and more shallow as you raise the bottle to eye level; see views 2, 3, and 4. Notice that while the back and front of the bottle's lip get narrower as you lift the bottle to eye level, the left and right ends of the lip remain the same width. When a cylindrical object is placed on its side, like this wine bottle, the ellipses are perpendicular to the central axis of the cylindrical form. How to draw cylinders and ellipses? How to draw cylindrical elbow? How to draw ellipses and cylinders, how to draw a bottle like this? How to draw a normal s eye view cylindrical form? What happen to the top of cylindrial object as they get closer to eye level ? How to draw a glass bottle with ellipse? How to draw cylinder in perspective view? How to draw glass with ellipses? What happens to the tops of cylindrical objects as they get closer to EYE LEVEL? How to draw cylindrical objects? How many views in cylindrical object? How to draw glass objects? How to make ellipse in perspective drawing? How to draw cylindrical objects in perspective? What is eye level in perspective drawing? How to draw cylinderal objects? 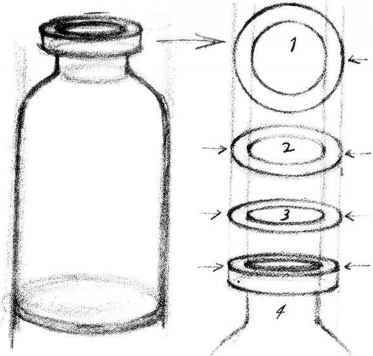 How to draw bottle from above and below eye level? How to draw bottle pencil? 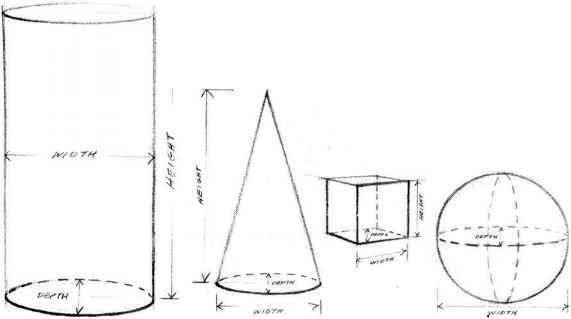 What are the cylindrical object in technical drawing.? How to draw cylindrical object views? Is glass and pencil cylindrical object ? How to draw a cylinder flat on a paper for design draw? How to sketch a cylinderical objects? How many view fors a cylindrical object?